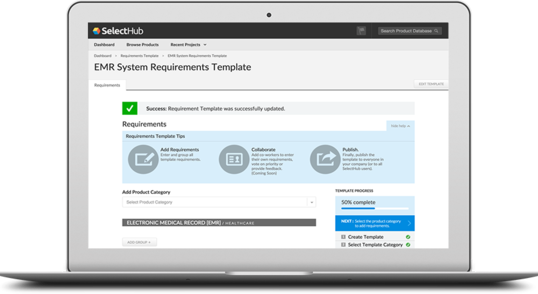 Some of these software applications focus on general patient management while others address specific processes such as inpatient tracking or blood testing. What they all have in common is that they make your job as a care provider smoother and more manageable. The FDA now considers software like this its own category of software as a medical device, so it’s important to know what’s what in this field! Administrative staffing is one of the big drivers of high healthcare costs. Automating routine processes like patient flow management helps medical clinics and hospitals minimize their administrative expenses. It does this by reducing the amount of data entry tasks your front desk staff is expected to perform, which lets them make the most of their working hours. It also helps maintain efficiency — by easing workloads, it lets the same number of staff members perform better, more meaningful work. Solo practices benefit significantly from patient/practice management systems because of their limited resources. A patient management app helps streamline every element of a medical office including recordkeeping, charting, patient appointment scheduling, claims processing and billing functions. While larger organizations may purchase a software solution for each of these individual needs, small offices can get everything they need in a convenient package. With MPM, providers get instant access to patient information and a reliable method for updating charts, noting medications and other important data. Accurate billing and bookkeeping keeps the practice running smoothly and makes sure your financial situation is squared away. Larger clinics and hospitals can enjoy similar benefits to smaller ones but have the added bonus of making patient-related processes more efficient. Because large practices have a heavy patient flow, the scheduling features of MPM is crucial to operations. Having an organized patient intake flow can mean the difference between a calm, orderly waiting room and a packed hotbed of irritation and frustration. A comprehensive management program enables immediate record transfers, enhances patient workflow and eliminates treatment errors that result from inaccurate or incomplete paper records. The best patient management software allows providers to deliver timely, accurate and better-quality patient care. Do you remember when charts were kept in file cabinets in a hospital basement? Yeah, it’s amazing anyone ever received proper treatment. Luckily, those days are behind us. Practice management software offers charting modules (or integrates smoothly with your separate EHR/EMR module) to keep patient data, charts, appointments and billing information together in a single digital file. Digital storage capability saves space for a neater, more welcoming office — not to mention less harried employees. Additionally, digital information is more secure than paper files, so patient management programs help clinics and hospitals comply with HIPAA privacy regulations. Automated process management streamlines and standardizes many administrative tasks, freeing medical staff to focus on what they do best: patient care. As a result, staff members may see improvements that help them find their jobs more fulfilling. A happy staff shows — when those providing care are happy and healthy, patients enjoy a higher standard of value-based medical care. Efficiency, accuracy and fewer errors directly benefit the facility’s bottom line. Patients who receive quality care from a professional and focused medical team will remain with the practice and tell their friends. With management software in place, clinics and hospitals have the ability to increase their patient capacity while still providing quality care. More patients mean more profit. What are Important Patient Management System Features? Not all of the patient management software features listed below are included in any single software application. However, each feature is part of some patient management systems currently available. This comprehensive list can help you understand your practice’s unique requirements and get a head start on the software selection process. The ability to track, store and access patients’ electronic medical records is vital to any healthcare provider. Some patient tracking software offers its own charting module and others integrate seamlessly with independent EHR/EMR solutions. Find out which you need before choosing a patient record management software solution. Whichever you choose, charting features should record, update and archive crucial patient data within the system for access at future encounters. It produces flow sheets for each patient which list immunizations, previous diagnoses, surgeries, test results, chronic issues and other important data. Some MPMs integrate with other medical software, allowing easy transfer of electronic health records between care providers. Not all solutions offer this, so keep that in mind when choosing software. One of the most valuable clinic management system features is scheduling.  The days of calling and making appointments via telephone are on their way out, and that’s good news for those looking to implement practice management. With a patient scheduling module, patients can book their own appointments online with 24/7 access to a patient portal. They can also cancel and reschedule appointments in the system — which means your desk staff doesn’t have to. Once an appointment has been scheduled, patient manager software can send automated appointment reminders via email, text or phone call, reducing the likelihood that patients will forget appointments. Medical patient software also records appointment histories, including no-shows. The system can even send out automated alerts when routine preventive care appointments are due. For example, my vision prescription is close to expiring, and I got an automated email from my doctor letting me know it was time to come in and get it renewed. It’s convenient for the patients and staff and helps promote the number one thing people can do to stay healthy: get consistent preventive care. Patient management programs don’t just schedule patients. When appointments are scheduled, the system can reserve the corresponding equipment and space required for the appointment. Some doctor-patient management systems even let you schedule your staff and physicians in the same system so you don’t have to bounce back and forth between different software systems. This group of clinical management software features tracks and manages the patient encounter before they even walk in the door. 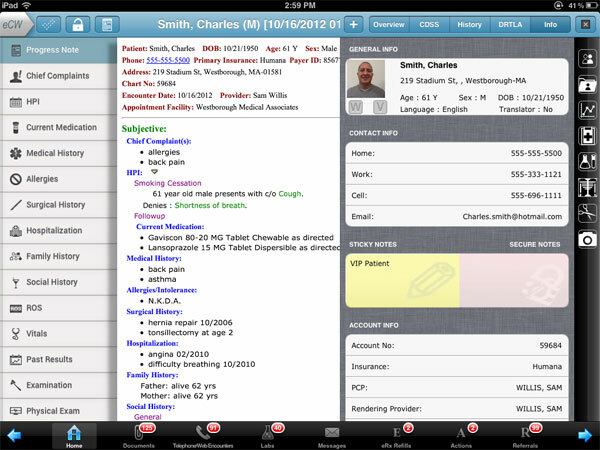 Patient check-in software modules generate electronic intake forms for them to fill out prior to their visit. This helps streamline a patient’s initial clinic or hospital visit and reduces wait times otherwise spent filling out forms in person. Once patients arrive, they can check in electronically, and their wait times are tracked by the system to gather metrics for performance analysis. 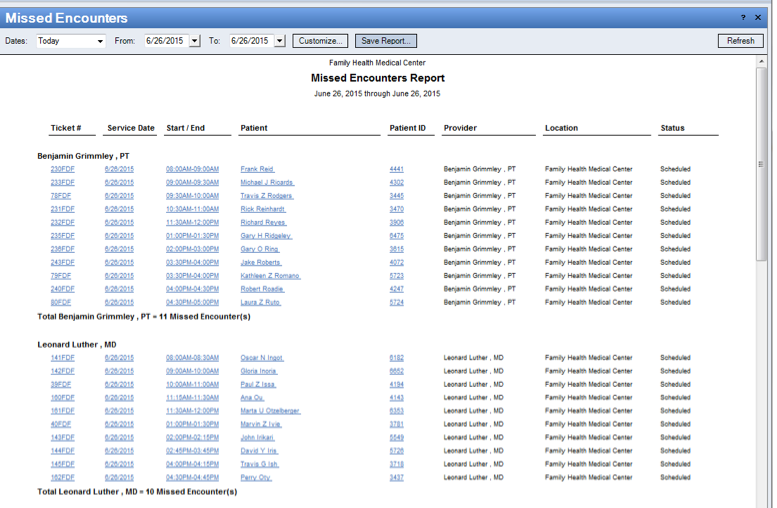 Patient management solutions monitor exam room availability, as well as track the progress of each exam. Users can utilize the transcription features to take notes directly within the system, often in standardized SOAP format. Once an appointment is over, patient management software automates the checkout process, including copay collection and patient follow-up appointment scheduling. Patient information management systems can also be utilized to manage patients in hospitals. MPMs manage admissions and track patient wait times to get as many patients in contact with care providers as possible. Once patients are admitted, your patient care management system lets users track patient locations, schedule surgeries and coordinate emergency response to keep the heartbeat of your hospital beating smoothly. On the logistical side of practice management features, users can schedule bed occupancy and maintenance to prevent overcrowding or unsanitary conditions. MPM helps manage medication doses to ensure patients receive the right amount of the right medications. Once patients are well enough to go home, practice management or practice management systems let users plan and execute discharges. All this information is charted and graphed for easy absorption by staff. No one likes to talk about the financial side of healthcare, but it’s a necessary element of the industry. Hospital patient management systems offer billing modules that reduce the stress of the revenue cycle management process. This feature manages patient accounts to keep a record of all past and present payment information and diagnoses. When a patient checks in, medical billing modules verify insurance eligibility to make sure everyone is on the same page about copays and deductibles. After encounters, medications, surgeries or other services, MPM automates the billing process to standardize every bill and payment collected. When payments are due, the system issues automated payment reminders and patients can pay online through the online patient management system. During the billing process, it can be difficult to keep track of everything that needs to be done. Medical billing tracks insurance claim status and coordinates billing with insurance providers to ensure claims are processed quickly and accurately. When there is an issue, MPMs offer a claim denial manager to assist in the process of arguing a denied claim. Part of being a healthcare provider is ensuring your patients’ data is secure. All medical practice and patient information systems should be HIPAA compliant in order to meet federal security standards. ICD-10 code implementation is also crucial to make sure diagnoses input into your system can be read and understood universally by other providers. Many MPMs offer an internal direct messaging system where patients can directly send messages to their doctors. While this system is incredibly convenient and saves both patients and doctors time, it transmits sensitive information. It’s vital to make sure there is ample security for your system, and this includes any software it integrates with. 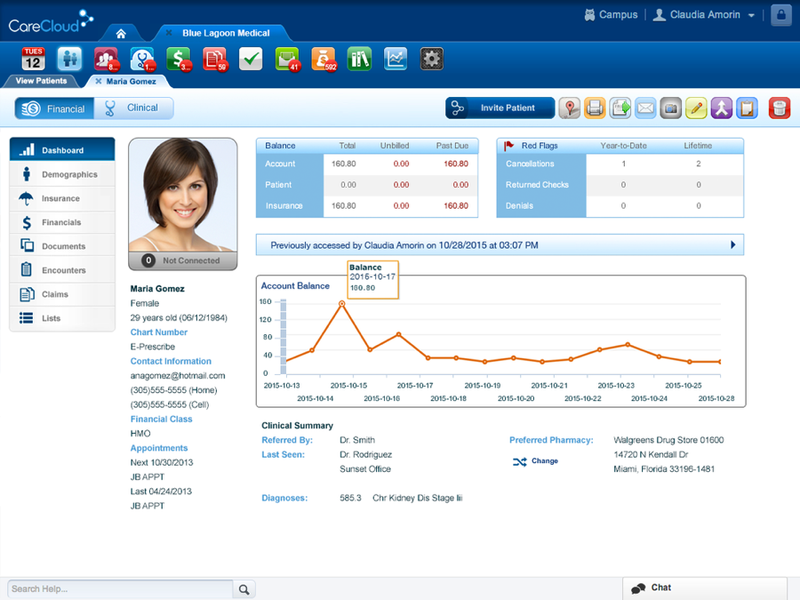 Patient management software sets new standards for excellence in patient care. It provides healthcare facilities of all sizes with greater economy, enhanced quality of service, more accuracy and more efficiency. Programs are available to suit a variety of medical practice needs. Now that you know what features to expect, you can start gathering requirements and comparing top vendors in the industry. Good luck on your journey to better patient care! I think that it would be highly beneficial for an inpatient practice to have streamlined management software. If the physician has instant access to patient info and can easily update charts then that would be great for the business. I know if I was a doctor, I would prefer to have software to help me out with productivity. Thank you for reading and sharing your thoughts! I completely agree. Tech in healthcare has amazing potential! Thanks post this blog, Really helpful. India is changing fast and digital revolution enabled due to cheaper data rates have helped different sectors to grow and reduce costs. Healthcare industry especially providers can reduce cost by embracing digital tools. Thanks for explaining how a digital management system allows you to save space in your office. This would allow you to have everything much more organized and presentable for patients. You may want to talk with other professionals before getting a service in order to know it will be right for you. i have a basic knowledge about patient management process. After i reading your blog i have a clear view about patient management software. Thanks for reading! I’m glad our article was able to improve your knowledge. That’s our goal! Thanks for sharing the features of the patient management system. It is really helpful for doctors who are managing multiple clinics. So it will be quietly easy for them to manage patients data and their past records. Thanks for reading and sharing your thoughts on the benefits of patient management software Anjelina!